South Shields, UK based marine equipment manufacturer and supplier, Solar Solve Marine, recently dispatched a consignment of SOLAROLA products to be installed on all of the navigation bridge windows of the cruise liner ‘Queen Elizabeth’ . Type approved by ABS, DNV-GL and LR, when the screens are in use they protect the ship’s personnel from the sun’s heat, glare and uv light, creating a safer and more comfortable working environment. 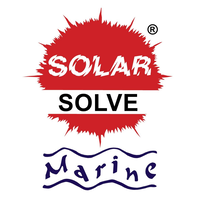 Also during the outfitting of her namesake, the UK’s aircraft carrier, Solar Solve Marine supplied specially developed, electrically operated SOLASAFE roller sunscreen products for installation at all of the windows on the Navigation Bridge and Flying Control room (FLYCO), as effective navigation safety aids. Her main structure was built to accommodate future design changes and expansions over time and it is expected to last for 50 years.